You don’t have to be an expert to know that preventive maintenance is the best way to make sure your vehicle keeps running at its optimum level. Vehicles are machines and, over time, machines break down. When it comes to avoiding potentially expensive automotive repairs, there are steps you can take to protect your investment. Preventive Maintenance helps to prolong the life of your vehicle and to proactively resolve any potential issues. Our professional CARMAX Auto Technicians are trained on preventive maintenance measures, services and everything in between. It’s no surprise that your vehicle will drive better, if all the wheels are pointed in the same direction. That’s called wheel alignment. If your wheels are out of alignment you may notice that your vehicle pulls to one side or the other. Something that you won’t notice right away, but you will if you keep driving when you’re out of alignment, is that your tires are wearing unevenly and fairly quickly. That’s because when the vehicle is pulling to one side, you have to steer it back straight. The outside of the tire just wears out fast because you’re constantly turning, which can be very exhausting on a long road trip – fighting to keep the vehicle going straight down the road. Let’s talk about cabin air filters. There seems to be some confusion about them that we should be able to clear up. Much of the confusion starts because cabin air filters are relatively new. Not all vehicles have them, so some people confuse their cabin air filter with the engine air filter. The Engine Air Filter is the filter that cleans the air before it’s burned in your engine. People wonder how often they should change their engine air filter. The simple answer is when it’s dirty. That’s a function of how much air has passed through the filter, so your manufacturer will recommend a mileage interval for replacing the air filter. But you can imagine that how dirty the air is would affect how quickly the filter gets filled. If you drive where there’s lots of dust and pollution your engine air filter will get dirty more quickly and need to be changed sooner. That’s why we check the air filter with every full-service oil change. We can visually tell if the filter needs to be changed. A dirty air filter would also restrict the amount of air that gets to the engine which Impairs fuel economy. We can replace your engine air filter with one that matches the factory specifications or you can upgrade your filter for enhanced performance. The Fuel system starts with the fuel tank. The fuel pump is located inside the tank and pumps fuel out to the engine. Somewhere along the way is a fuel filter whose job is to filter out dirt before it hits the engine. Then there’s the fuel intake system and the fuel injectors that deliver the fuel to be burned in the engine. Our focus is to discuss how to make the various components of your fuel system work well and last as long as possible. Now the best thing you can do for your fuel pump is to use good quality fuel. Top tier gas typically has fewer contaminants and more detergents to keep things clean. Using good gas, or adding a fuel system cleaner to your tank, can prolong the life of your fuel pump. Because the fuel pump lives inside your tank, it’s pretty expensive to replace, so helping it last as long as possible is a worthwhile goal. The fuel filter catches dirt and contaminants. When it’s clogged, your engine may not be able to get enough fuel and could sputter. Many fuel filters have a bypass valve that allows unfiltered fuel past when the filter’s clogged. That prevents your engine from dying while you’re driving, but it can’t protect your engine from dirty fuel. Check your owner’s manual or talk with your service advisor about when you should replace your fuel filter. A professional fuel system cleaning will keep injectors clean and working correctly. It’ll also clean deposits from the inside of the combustion chamber and off the intake valves giving you optimum performance and mileage. Check with your service advisor and see when he recommends you get a fuel system cleaning. This may sound complicated. Some vehicles have an oil life calculator that takes all of these factors into account and tells you when you should change your oil. Otherwise, talk with your service advisor about how you drive and get their recommendation for when to take care of your service. You know that long belt that snakes around the front of your engine? It’s called the serpentine belt. The belt’s driven by the engine as it turns. It powers your alternator, air conditioning compressor, and power steering pump. On some vehicles it also runs the water pump, radiator fan, and power brakes. Sounds like a lot of important stuff doesn’t it? Check your owner’s manual for when it’s recommended to replace your serpentine belt – or just ask your service advisor. He can inspect the belt as well to see if it’s in trouble. You may have been told to look for cracks in your belt to see if it needs to be replaced. Of course, cracks are still a concern, but modern belt material doesn’t crack as often as old belts did. What we look for these days is the thickness of the belt. We have a special little tool that measures the depth of the grooves in the belt to see if it needs replacing. The days when you changed your spark plugs every couple of years has ended. Back in the day, spark plugs really did wear out that often. A couple of things are different now. First, spark plugs are made of better materials that last longer and they’re designed better. The second reason that plugs used to have to be changed was that they were fouled up with carbon deposits. The deposits built up when fuel wasn’t burned completely. With modern engine management controls that just doesn’t happen as often. Modern engines are delivering more power and better fuel economy all the time. That’s largely credited to fast engine control computers, advanced sensors, electronic ignition and improvements to the lowly spark plug. It’ll be interesting to see where future developments take us. One last thought: it’s critically important to have the right kind of spark plug for your vehicle. Because engines are designed to run with different internal temperatures, spark plugs have different designs to work properly within those temperatures. 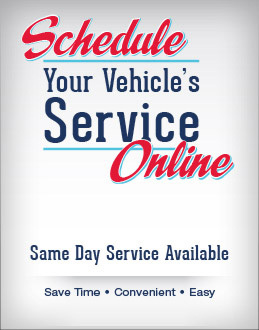 Your service advisor will be able to get the right plugs for your vehicle. And he’ll be able to advise you on when you should replace your spark plugs as well. Let’s address a very important maintenance item – timing belt replacement. It’s important because letting this one slide can lead to very expensive engine damage. Now, timing belts just wear out naturally so you want to replace a worn belt before it slips or breaks. Check your owner’s manual or with your service advisor to see when they recommend you replace the timing belt. If you’ve never replaced your timing belt and have 60,000 or more miles on the clock, talk with your service advisor right away to see if you’re due. You can make your tires last longer with regular tire rotation and wheel balancing. Let’s start with tire rotation. In normal driving, your front tires wear more on the shoulders because they handle much of the cornering forces in turns. Front-wheel drive vehicles have even more force on the front tires. We rotate the tires so that all of the tires do some duty on the front end as well as getting a little break on the back end. That way, all four tires wear more evenly over their life and last longer. Tires always rotate front to back. Let’s move on to wheel balancing. That’s when there are heavy spots on the tire and wheel that cause it a bit of wobble. Balancing adds weights to the wheel to balance it out. Now, we are talking about very small weight differences. Variations in the tire and wheel manufacture can cause a slight imbalance. The valve stem, and now the tire pressure monitoring sensors in the tire, also play into the equation. You may not know much about transfer cases, but if you have a 4-wheel drive vehicle, you’ve got one. It makes sure you have power available for both the front and rear axles. For example, if you have a rear-wheel drive SUV, power goes to the rear wheels until you need 4-wheel drive. That’s when the transfer case steps in and transfers some of the power to the front wheels as well. You might use a shift lever to go into 4-wheel drive, or it could be a button on the dash or it might even go into 4-wheel drive automatically, depending on your vehicle. The transfer case is serviced by periodically draining its fluid and replacing it with fresh fluid. We also check for leaks and damage. Transfer case fluid cools and lubricates the gears, chains, bearings, shafts and other parts. Over time, the additives in the fluid wear out and it doesn’t protect as well. Also, bits of metal and clutch material wear off and contaminate the fluid. Look, there isn’t a filter in the transfer case, so if the contamination is allowed to stay for too long, it’ll further accelerate wear. Now, your owner’s manual may not have a recommended interval for when you should change your transfer case fluid – so ask your service advisor. There are several things that affect how often you should change the fluid, so tell her how much you use 4-wheel drive, if you drive in wet environments like crossing streams or through mud and snow. That kind of stuff really shortens the drain interval. Transmissions are heavy duty pieces of equipment that are designed to last a long time. But like any other machine, they’ll eventually wear out and need repair. So let’s focus on what you can do to push that day off as far as possible. The first thing you can do is to make sure your transmission always has enough fluid. Transmission fluid cools and lubricates the transmission. When there’s not enough fluid, the transmission will run hotter and wear out sooner. The transmission fluid also provides the pressure needed to transfer power from the engine to the transmission. Not enough fluid, and your transmission won’t shift properly. We will check your transmission fluid level with a full service oil change and top it off if needed. If you see any transmission fluid on the driveway – it’s a reddish color – have us inspect it for a leak. A gasket, hose or seal could be leaking and may need to be repaired. The next thing you can do to prolong the life of your transmission is to replace your transmission fluid on schedule. As you can imagine, all those gears grinding on each other result in lots of little bits of metal in the fluid. The more there is, the faster the transmission parts will wear out. Transmission fluid also contains detergents and other additives to protect your transmission. These additives are depleted over time, so old fluid doesn’t protect as well as new fluid. Your owner’s manual or service advisor will have a recommendation for when you should have a transmission service. If your transmission isn’t shifting as smoothly as it should, or if you suspect a transmission leak, let us take a look at it. And ask if it’s time for a transmission service. Regular maintenance and taking care of small leaks right away will help your transmission last as long as possible. We’re going to talk about windshield wiper blades. Now that may seem like a pretty mundane topic, but think about how important your vision is: We protect our eyes. If we need contacts or glasses, we taking care of them too. And, well, wiper blades are critical to our vision when we drive. Wiper blades live outside the vehicle, exposed to heat and sun in the summer and cold and ice in the winter. It’s no wonder that they get dry, brittle and torn.